Compare and save. 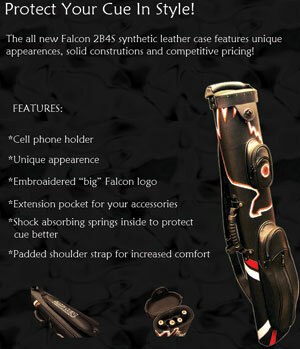 We guarantee you get the best value of Falcon cues from J&J America. Big save: you save up to *50% for some Falcon cues below. Limited quantity only. 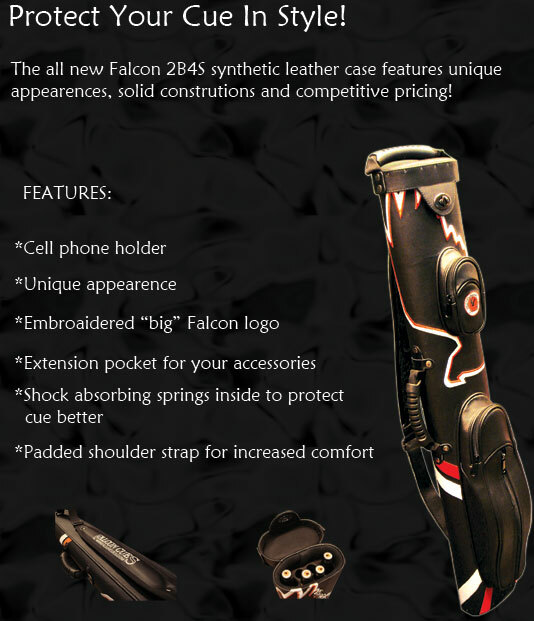 Bonus: Free joint protector and Free Falcon soft cue bag per request, when you buy any of the Falcon cues at online price. Click on the cue or link for a clear picture. Regular Price: $180, On Sale Price: $110. it is 40% off. Regular Price: $200, On Sale Price: $130. *Stains, ring work, inlays, & woods of stock Falcon cues may be slightly different from the picture. 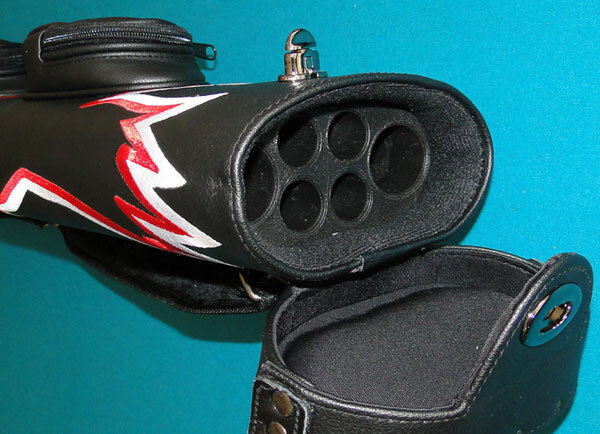 *Free joint protector and cue case per request only, when buy the Falcon cues at online price. Email us for update onsale price for any of our Falcon cue. Extra discount may possible for some Falcon cue models.